I am a student at Roberts Wesleyan College, Rochester, New York. I am currently collecting data for my research project entitled The reader’s cognitive response towards peer-reviewed manuscripts,to fulfill my degree program requirement in Organizational Management. The purpose of my study is to explore the reader’s cognitive response to two manuscripts that were problematic. 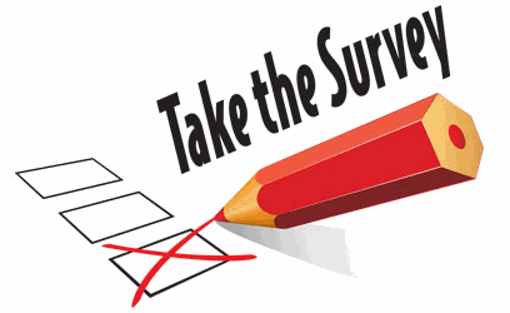 I would like you to participate in this study by completing an on-line survey by January 4, 2015. The questionnaire will take about 10 to 15 minutes to complete. Your participation is voluntary but very important to the success of this study. If at any time you feel uncomfortable with this assignment, please feel free to discontinue. Thank you for taking the time to assist in this important project. I look forward to receiving your completed questionnaire. CLICK HERE to begin the process. Read the short (one page) essay on Long term toxicity of a Roundup herbicide and a Roundup-tolerant genetically modified maize. Then take the survey. After submitting your results you will be taken to another short essay and another short survey form. (There is a Shroud of Turin connection, as you will see). I could comment my own answers but I don’t want to have an influence on whoever. Dear Giorgio, are you yourself this student? Yes I’m the old man who’s back to school to see if my pick up lines still work. Sad to say, I need new material with these young ladies. Plus it’s much harder to work the field when you wear a wedding ring. Lol. Thibault I’m glad you enjoyed it, hopefully when I’m finished with this assignment I can say the same thing. I’ll let you know the results by the end of February. It will be uploaded. I have some questions about your questionnaire. First, it seems that one person is able to fill it multiple times. How should we understand that question? Obviously, according to Rogers findings they were non-representative to the original Shroud, and thus 1988 carbon-dating results are invalid. But this does not mean that they were not excised from the original Shroud of Turin. Simply they were part of rewoven corner area -and the same applies to the Raes sample. That explains purported anomalies (starch, Z-spun of one thread and so on) -there is no need to assume that the samples was swapped or faked by some unidentified forces. As we can see even in mid-80s there were clear suspicions that this corner is non-original -nevertheless they took a sample for 1988 carbon-dating form there. And other thing, Giorgio, that I would like to ask. Is there any chance to obtain Proceedings of the 1977 United States Conference of research on the Shroud of Turin, Albuquerque 1977, Holy Shroud Guild, New York 1977,/I> ? Hello O.K. I guess the best answer I can give you comes from this sentence from the readings, “In 2000, Rogers received reports from a long time Sindonologist researchers, Joe Marino and Sue Bedford. They hypothesized that the radiocarbon dating were not from threads excised from the main body of the Shroud, but rather from a location contaminated with dye cotton used in the restoration of the Shroud”. I also have to point out there will be limitations to the data collected based on language barriers, and load questions that the controlled group who approved the wording may have overlooked. You are correct about double entries however, when I tally the responses I am able to sort duplicate IP address and eliminate any duplication. Of course that has to be mentioned in the limitation section of the research since the duplicate responses may have come from 2 members or more from the same household, or the second response had different answers to the questions. As far ar the 1977, Albuquerque procedures I know I do have that in archives. If I have already scanned them I can certainly upload them on the HSG site where you can retrieve it. However, if it is not scanned, you’ll have to give me time (March) before I will have time. I’ll let you know some time next week of the status. Thank you Louis, Merry Christmas to you too. Nothing to thank me for, Giorgio. I hope the survey helps you in your endeavours. Having done work in getting students to asses material and arguments critically, with appropriate material developed to help them, It does not seem that there is sufficient evidence to make valid judgements in the questionnaire so I am not sure how any serious findings on cognitive responses are going to come out of it. How is the sample selected? Where is it being advertised other than here and the Holy Shroud Guild website. Is it specifically a survey of readers of these sites and, if so why? I cannot imagine anyone who does not know the Rogers’ paper and the background to it in considerably more detail than provided here would be able to make head or tail of the issue in Part Two. Perhaps someone can tell me where peer review comes in- are the respondents to the questionnaire the peers? Is it a judgement of whether Rogers was right in believing that he had representative samples ( or unrepresentative samples) – yes ,there is a lot of confusion here. If this had been one my students compiling a similar survey, I would certainly have expected a lot more clarity about its purpose and how the limited number of questions related to COGNITIVE responses. The intelligent response in most cases would simply be ‘ not enough evidence to be able to make an assessment’ and this is hardly helpful to the questionnaire. Charles, look at the assignment as nothing more than a prosecutor’s brief and answer according the readings as instructed. As far as cognitive research, there are so many empirical data already, my findings are so irrelevant to any conclusion. However, what is relevant for this course is to prepare me for using the right statical analysis and approach in my business research paper. Good luck with it and I hope the results provide you with the help you need. "What If?" Clips Just Published: What Went Wrong with the Radiocarbon Date?